The Georgian Patriarchate’s TV station “Ertsulovneba” recently did a short segment on our English language parish at Tbilisi’s Blue Monastery. It has been dubbed in Georgian but it is still interesting to witness the Liturgy and the congregation. Father Joseph and Dylan Crawford are interviewed in English, and Tamuna Crawford and Joseph Smith are interviewed in Georgian. Holy Wednesday: Administration of the sacrament of Holy Unction, the anointment of the faithful with oil at the conclusion of the liturgy. Commences at 5 p.m.
Holy Friday: The Deposition of the Body of Christ from the Cross is commemorated with a Liturgy. Christ’s body is represented by the Epitaphios ,an icon of His dead body embroidered on a silk cloth, which is borne around the church by the clergy and solemnly installed in a “tomb” within the sanctuary of the cathedral. This service commences at 2 pm, the same time as Christ was reported to have died. Holy Saturday: The Vigil of the Resurrection begins at midnight on Holy Saturday, preceding the celebration of the Resurrection of Christ, Pasqa. The service typically continues until dawn, although not all will stay for that length. The Vigil service is very heavily attended and past experience is that one must be inside the cathedral by 10.30 p.m. or one will not gain admittance. Many hundreds of people congregate outside the cathedral and participate in the service despite being outside, and they can witness the parade of resurrection icons circling the cathedral and join in the Resurrection Hymn, Kriste Aghsdga. May you all have a blessed Holy Week and a joyous Pascha. As we enter the last week before Great Lent, we are encouraged to occupy ourselves with assisting those around us suffering from misfortune or illness. The Georgian Wounded Warrior Program emulates the very successful Wounded Warrior Project in the USA. It is run by the US Office of Defense Cooperation’s Bilateral Affairs Office, based at the US Embassy in Tbilisi. Its personnel include civilian rehabilitation experts and serving US Army personnel. In Georgia, the project has been providing prostheses to Georgian veterans who have lost limbs in the 2008 war against Russia, as well as the Iraq and Afghanistan theatres of operations. As is well-known, Georgia has been the largest non-NATO military contingent in Afghanistan for some time, and a substantial number of mortalities and serious injuries have been sustained by Georgian troops on active duty there. A modern Rehabilitation Centre is to be commissioned by August 2016 in Tbilisi with funding and technical support from the Georgian Wounded Warrior Project. An identified deficiency in the Georgian Military, and in Georgia in general, is a shortage of trained counsellors or therapists to deal with psychological illnesses, such as Post-Traumatic Stress Disorder. The military chaplains embedded in Georgian battalions, provided by the Georgian Church, have previously received some basic training in counselling; given that Georgian soldiers are reluctant to admit vulnerability to their comrades, or to strangers, a chaplain is often the first port of call for a distressed soldier having difficulty coping. 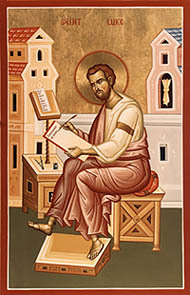 The established Orthodox Christian model of intimacy and confidentiality between the priest and his spiritual son provides a good base upon which counselling, guidance, or even referral for additional treatment, can develop. Last week, representatives of the Georgian Wounded Warrior Project met with relevant clergy from the Georgian Church to discuss co-operation, with great willingness on the Georgian side for Georgian chaplains to receive training from US Special Forces chaplains in identifying and supporting Georgian soldiers with psychological problems. This is a very pleasing development indeed, and we will keep readers posted on new developments. Another function of the Georgian Wounded Warrior Project is to find employment for demobilised soldiers who have suffered from physical or psychological injuries. Given the high rate of unemployment amongst the able-bodied in Georgia, this is a challenge. That being said,they have many attributes that are desirable in the private sector. Veterans are typically highly disciplined and reliable, amenable to training in complex tasks including IT and communications, work effectively in teams, and often have leadership experience gained under very trying conditions. Employers in Georgia wishing to employ wounded veterans in their enterprises, or provide other support for rehabilitation activities, may contact me in the comments section below to be referred to the relevant personnel at the Georgian Wounded Warrior Project. Most long-term residents know that the local custom is to attend a Nativity Vigil at a temple or cathedral on Christmas Eve, for many hours (usually starting around 10 am and continuing on until just before dawn). Families often attend the colourful and joyous Alilo Parade held in Rustaveli Avenue afterwards. 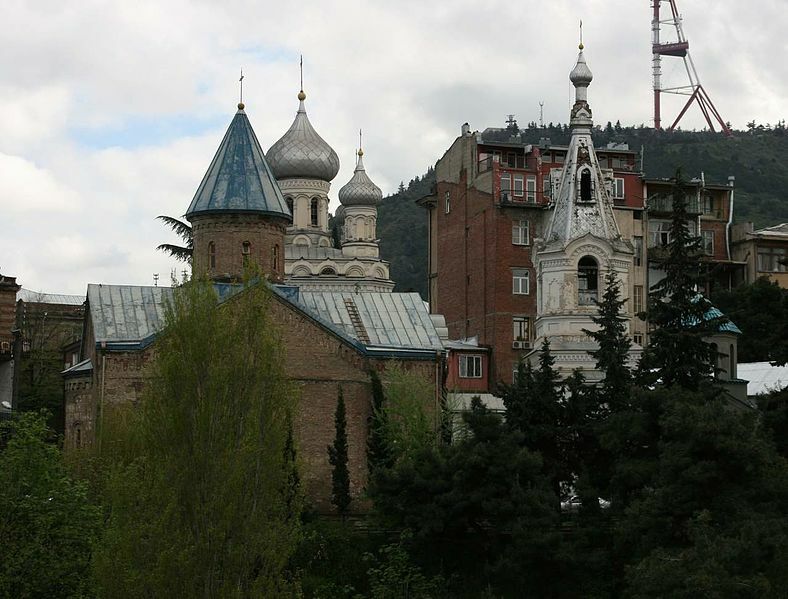 As is common in many Orthodox jurisdictions in the West, a Nativity Matins will be held on Christmas morning in Tbilisi, in English, on January 7. Held at the Blue Monastery, near the end of Perovskaya Street, the Hours will be read from 9 am and the Divine Liturgy celebrated immediately afterwards. All are welcome, regardless of whether one is an Orthodox Christian or not. Shobas gilocavt! !